Academic mission of French studentsThe International Business Program of the Universidad de la Costa, received a group of 20 students from the Lycée Frantz Fanon La Trinité, located on the island of Martinique, France, who participated in a creative workshop on International Marketing Strategies. 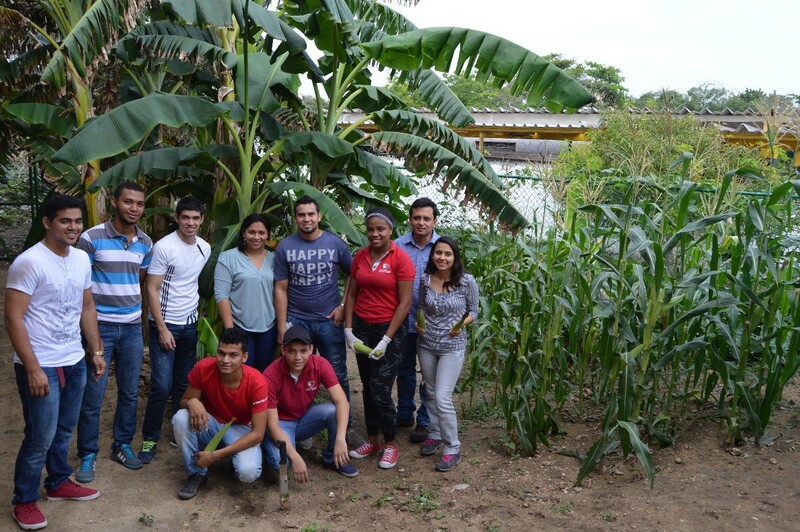 Urban Produce Garden of Agro industrial EngineeringThe fourth and fifth semester students of the Agro industrial Engineering Program, under the direction of the professors: Ana Carolina Torregroza, Eliana Martínez and Daniel Castañeda, developed a classroom project named: Establishing an Agricultural Zone. 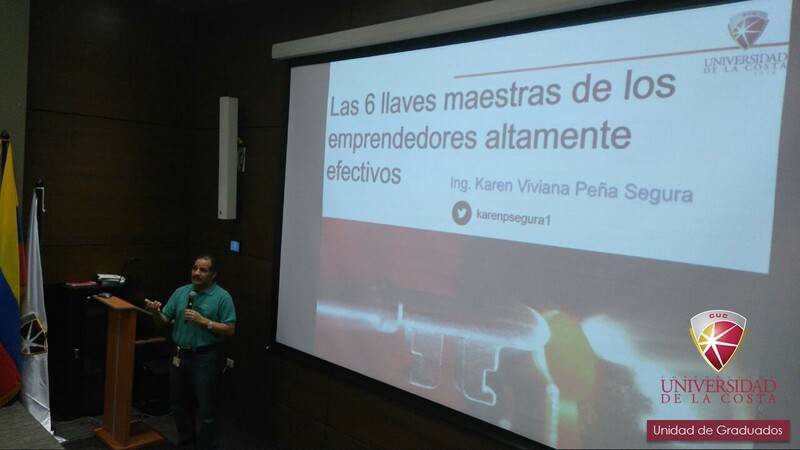 Light Entrepreneurial Methodologies: Six master keys of highly effective entrepreneursWith the purpose of strengthening the entrepreneurial culture in the Universidad de la Costa alumni, providing them with entrepreneurial techniques and tools aimed to boosting the development of projects and administration of business ventures ideas, the Outreach Activities Department and their Alumni and creation of Companies Units carried out the conference of Entrepreneurship and Business Models, named: "Light Entrepreneurial Methodologies: Six master keys of highly effective entrepreneurs". Professor of the Social Communication Program and Digital Media writes in an Important Editorial Alliance Professor Juan José Trillos Pacheco, a full time professor of the Social Communication and Digital Media Program, wrote on the Chapter "La Red": a scenario for the fragmentation of power and politics in Latin America in the book "Political Communication and Democracy in Latin America", published by the alliance between the prestigious editorial group Gedisa of Spain and CIESPAL editions -Centro Internacional de Estudios Superiores de Comunicación para América Latina (International Center of Superior Communication Studies for Latin America) - . Engineering Professor wins an International Research Award Professor Carlos Gaviria Mendoza, associated to the Civil Engineering Program of the Engineering Faculty of our institution, was invited to hold a technical speech about structural health supervision at the hall of Mayagüez, of Universidad de Puerto Rico. Conference: Analysis of the Peace plebisciteWithin the frame of the Chair for Peace, organized by the Law Faculty of Universidad de la Costa, the following conference was held: "Analysis of the Peace plebiscite", by Licentiate Diego González, a Constitutional Law Professor of Universidad Externado de Colombia. Our mission is to contribute to the integral training and improvement of the quality of life of the members of the university community in their various dimensions, increasing student continuity in this manner. Designed by Fundación para la Investigación, Desarrollo e Innovación I+D+I (Foundation for Research, Development and Innovation).